Life seems rather simple in Fort Wayne, Indiana. Simple is good. Fort Wayne is Indiana’s second largest city and just a couple hours from Indianapolis. 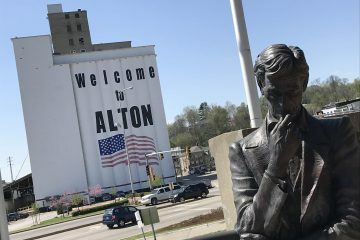 While not a major tourist city – Fort Wayne offers more than enough in terms of things to see, do and keep your family busy for a short road trip. 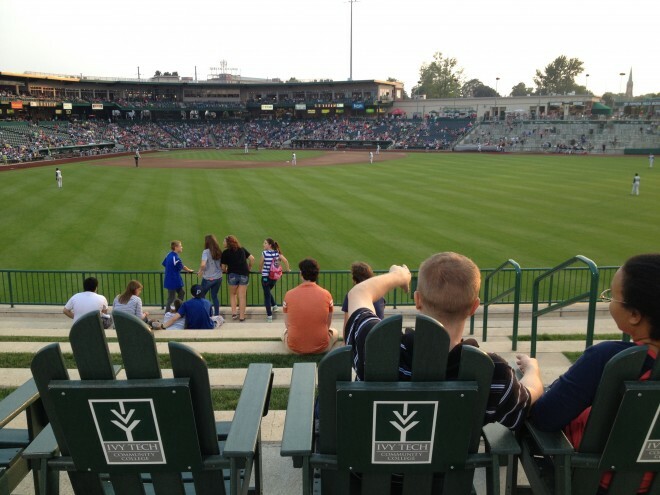 The Fort Wayne Tin Caps is an award winning minor league baseball experience. Minor league games are fun as you’re able to be close to the action and enjoy a game without having to take a second mortgage out on your house. But, Parkview Field is a notch above most minor league stadiums. It’s a state of the art venue and the locals really seem to embrace the team. The Tin Caps set a new attendance record in 2014 – bringing in over 406,000 visitors. 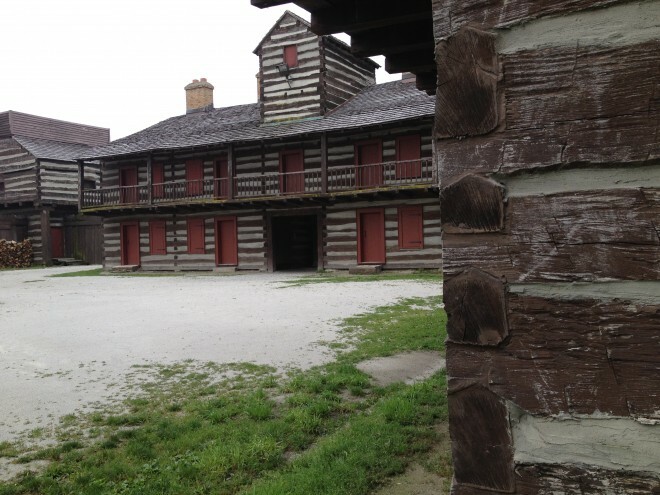 As I talked about Fort Wayne on the radio – everyone had the same question: “Is there really a fort?” Yes, the name comes from an actual fort, built in the late 1700’s and run by General Anthony Wayne. The structure has been refurbished and you can freely walk around and explore. 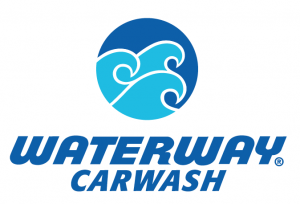 One of the biggest draws in Fort Wayne may surprise you. 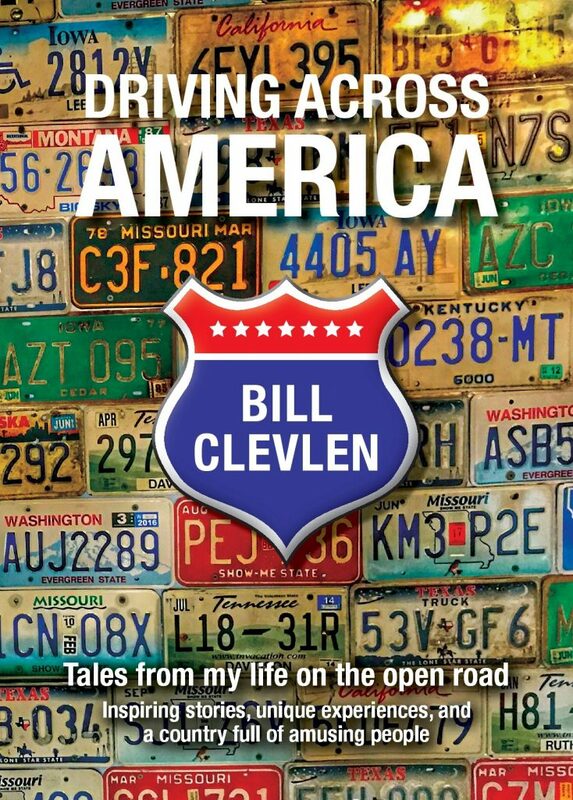 When was the last time you hit the road to visit – a library? The Allen County Public Library brings in visitors from all over the world. The Genealogy Center that sits on the second floor has one of the best collections of records in the country. The massive collection of data helps those interested in researching family history and all of it, including assistance from staff, is completely free. 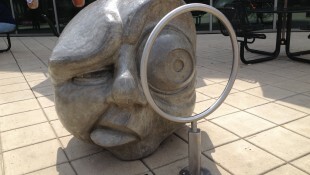 While walking to the library you might notice odd and interesting sculptures scattered about town. 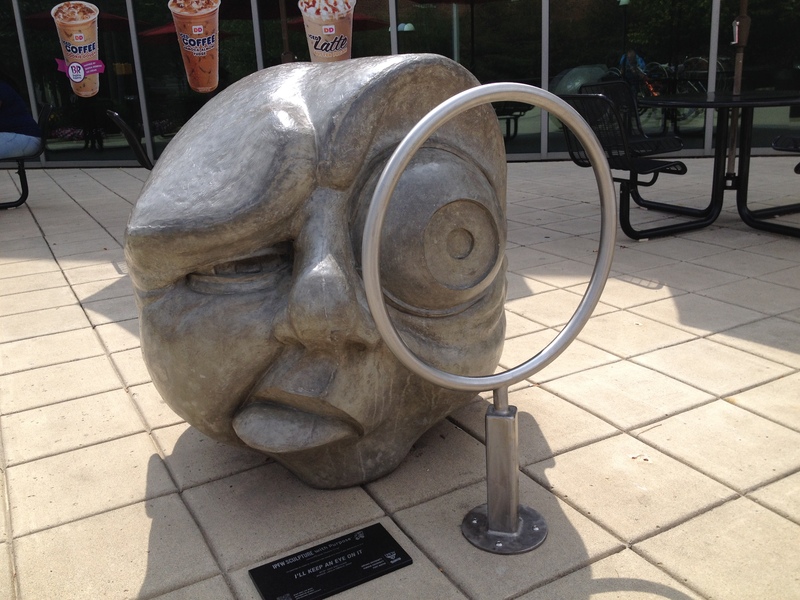 A creative arts project called: “Sculpture With Purpose” – helps promote art and cycling by turning an otherwise boring bike rack into a piece of art. The pieces range from cool to bizarre. One bike rack sculpture called: I’ll Keep An Eye On It For You might keep your kids awake at night if they get a glimpse. It looks like something out of a Stephen King novel. Maybe that’s appropriate as King spent part of his childhood in the area. Instead of scaring the crap out of your children with sculptures – take them to the award winning Fort Wayne Children’s Zoo. The name is slightly misleading because as an adult (or at least someone pretending to be an adult) I found the zoo very well laid out. The exhibits are just as enjoyable for all ages however they are designed to be visible to smaller children. How many times have you been to a zoo and Mom or Dad have to lift the kids on their shoulders to see something? The Fort Wayne Children’s Zoo nailed it with their layout. Without a doubt, my favorite animal to see at a zoo is the giraffe. Not only did I see giraffes, you are able to get incredibly close to them and feed them. Even some of the most well known zoos in the country don’t have that type of opportunity. I still haven’t found a zoo that will let me ride one though. Other family friendly activities include a visit to Science Central or the Botanical Conservatory that’s located downtown. It’s a small but nice collection of plants and flowers. 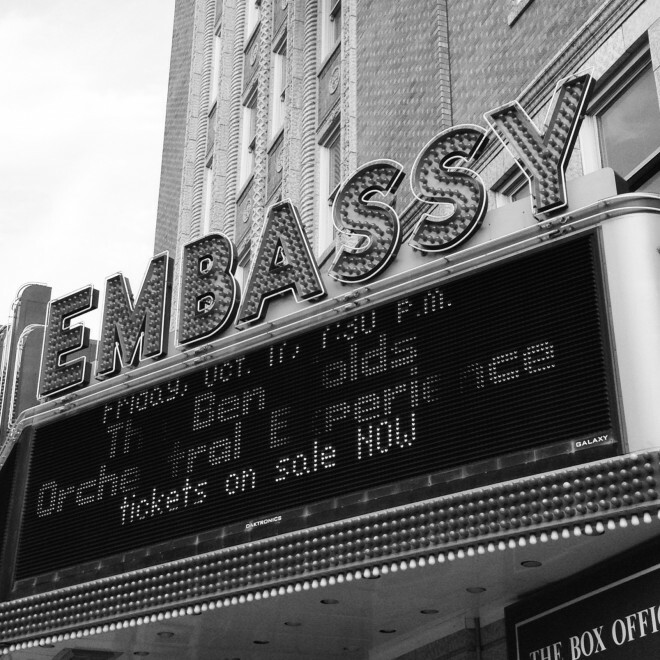 The Fort Wayne Museum Of Art or a show at the historic Embassy Theater are also options while visiting. 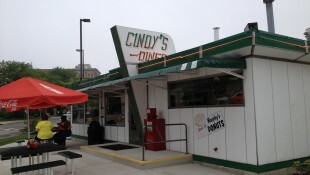 Cindy’s Diner is a staple in Fort Wayne. I enjoyed breakfast here and felt like I had lived in Fort Wayne all of my life. 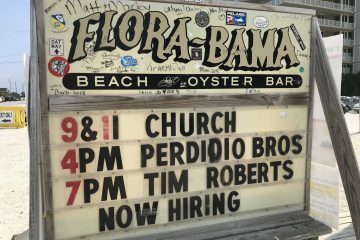 The customers and servers banter back and forth like lifelong friends. On a typical day – one guy does all of the cooking as you sit on one of about 12 bar stools. Being a smaller town with many of the perks of a big city – it’s the perfect place for companies and organizations to hold conferences and events. As I arrived in town, there was a huge teachers conference wrapping up and a national roller derby tournament underway. 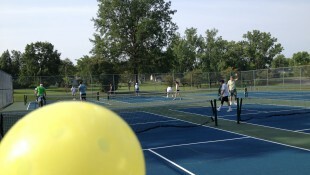 A week after I left Fort Wayne – the city hosted a regional Pickleball tournament. If you follow my travels – you know that Pickleball is a sport that I absolutely love and it’s taking the country by storm. Fort Wayne has its own Pickleball Club and thanks to Kristen Guthrie of the Visit Fort Wayne team that arranged for me to meet with the club and even play a few games before I left town for my next stop! The only downside – they require players to pay the somewhat steep participation fee of one dollar. And yes, this is my real job. A historic former movie theater in downtown Fort Wayne – built in 1928. It now features shows like Mama Mia and other concerts.